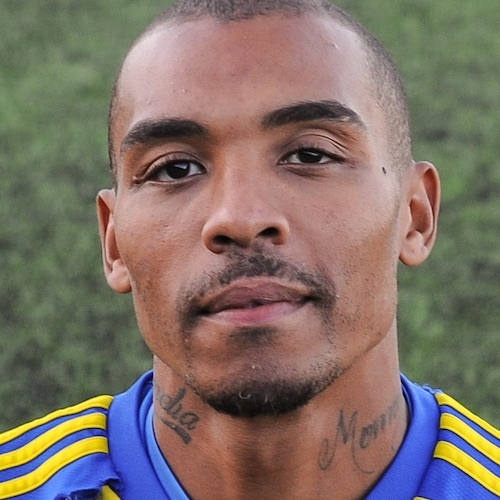 Towering centre-half for Sporting Khalsa and St Kitts and Nevis, Tes joined part way through the 2014-15 season as a series of injuries to centre halves threatened the championship winning campaign. Tes became Sporting Khalsa captain for the start of the 2016-17 season. Tes has previously turned out for a host of non-league sides, including Shawbury, Oldbury United, Rushall Olympic, Romulus, Redditch United, Evesham, Chasetown and, prior to joining Khalsa, for Halesowen Town. He is also the only player at the club to have their own Wikipedia page. In addition to being a classy, pacy and dependable player with his back to goal, Tes is also dangerous at the other end of the pitch and scores plenty of goals from corners and free kicks. It is a little known fact that the Madame Tussauds in the St Kitts and Nevis capital of Basseterre has a waxwork of Tes and, because of local females kissing it on a regular basis, the attraction has to hire a team of cleaners specially to remove the lipstick.